I read a lot about the beer revolution that is sweeping through a (relatively small) number of beery establishments and its small but growing band of devotees and noting what Zak Avery says here, offer a few observations. While stereotyping is lazy, in some ways it does serve a purpose when identifying trends. When I visit places like Craft or the Port Street Beer House (less so) , I'm concious of the fact that I am one of the oldest there. It doesn't mean that people like me don't drink beer any more, but they don't necessarily drink it in the same places as the new emerging beer enthusiast that prefers to pay top dollar for something either exotic, from afar, or both. There is also undoubtedly a snobbish element about this too. Just look at Twitter to see what such people are drinking. 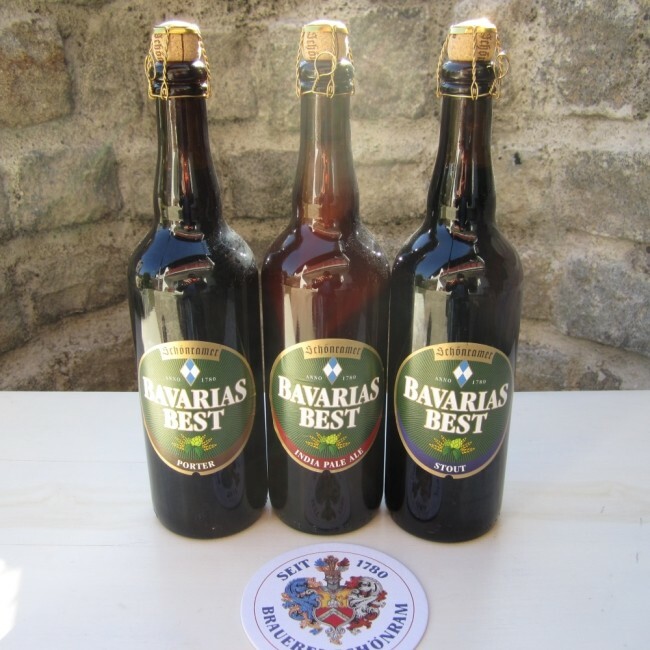 They boast about beers I have never heard of, not so much to tell you how wonderful they are, but how unusual they are. And often, how strong they are. Zak mentions the growth in this niche market in his blog - and he is right. It does have some legs yet, but I doubt if it will take over the British beer drinking scene to any great extent, though grow it will. London will set this trend. It has been the sleeping giant for far too long and now awakened, there is plenty room to both catch up and exploit a still affluent market further. Other beer drinking cities will follow to a lesser extent. Further from the capital though, there is only so much money to go round and those willing to pay nine pounds a pint, or whatever, are limited in number and will further be weakened as economic gloom continues. To that extent, going back to Zak's title, the revolution can indeed be economised. There is of course an up side. These new drinkers and new beers and brewers bring a vibrancy and enthusiasm which should be welcomed, but as the exotic beers get ever more expensive, most of them will inevitably be drunk at home too. Zak and other retailers are already exploiting this demand, but all home drinking has a knock on effect on pub and bar drinking. It could not be otherwise. I assume the reason for the expensiveness of such beer is initial cost, rarity, mark up and the need to keep a lot of relatively low turnover stock on hand to satisfy choice. Cask beer, with its limited shelf life is more immediate and is consumed quickly and with gusto. Those that do best mix and match the two. I have long thought that without CAMRA there would be no "craft" and now I imagine the volume drinking cask drinker plays a large part in the mixed economy of the pubs I mention. Maybe we need each other a bit more than you'd think? That's something BrewDog may find out when they open in England. It is all very well selling exclusively keg beer in their Scottish bars. Scotland to all intents and purposes is a keg bastion. Will that work just as well in England? We'll see. As I said, these are just observations. I am delighted to see such interest in beer generally, despite reservations about emerging snobbery. 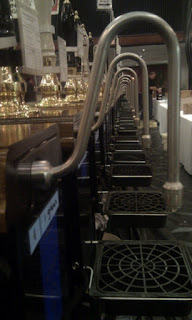 (Of course the same charge can equally be levelled at some cask drinkers too.) I would also guess that most of us reading this are pretty well attuned to drinking in volume sometimes, but sipping at others. There is no conclusion to offer you, except perhaps that whatever and wherever we drink, we should remember that beer might well be the best long drink in the world, but at the end of the day it is is just malt, hops, yeast and water. Sometimes these simple ingredients are in perfect juxtaposition and often they are not. Drinking expensively does not guarantee drinking well - price does not necessarily equate to quality. Sellers should also be aware that beer doesn't have an intrinsic value that can only go up, like gold in a depression. (To go back to why you pay much more for craft beer things, I leave you with a quote from the Economist. " By selling more profitable “craft premium” beers, in the marketing lingo, they can thrive where other pubs have failed. As always - follow the money." Of course cask beer, the volume drink in these places, is also expensive. In the end, maybe the one rubs off the other, enabling both to have a place in these new beer bars and a new generation of open minded beer drinkers would be a good thing, but new drinkers, like traditional ones, should avoid painting themselves into a corner. This piece draws on the Economist article that Zak mentions. I won't mention his photo, except for one thing. Anyone watch Emmerdale? 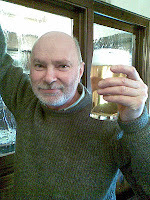 For those of us interested in the state of German brewing - me, Boak and Bailey and Robsterowski mainly - there is, in the Brewer's Guardian, a fascinating interview with American Brewer in Bavaria, gone not quite native, Eric Toft. Eric argues that German brewers have in effect led themselves and their customers up a blind alley of sameness, by interpreting the beer purity law in a singular and unwise way. He says in effect that there has been a gaderene rush to produce identical beers, dictated not by the Reinheitsgebot, but a lack of vision. He points out that "the Reinheitsgebot says nothing about what hop varieties and barley varieties and yeast strains you should use" and that "the Reinheitsgebot should be an inspiration to try and create within these so-called ‘confines". Like so many things in life, it isn't what you've got, but the way that you use it that counts. He has put this into effect in the brewery where he is Head Brewer, Privat Landbrauerei Schönram, a 55,000hl rural Bavarian brewery, by producing porters and IPAs alongside the more usual helles and pils, pointing out that particularly, these small scale experiments are well liked by women. (A separate issue, but yet another pointer that silly spritzer style beers for women are doomed to failure). It is good to see this streak of common sense and adventure, albeit on a tiny scale, so let's hope he can convince more of his brewing colleagues and the wider drinking public in Germany. Anything that shakes the German brewing industry out of its lethargy cannot be a bad thing. I say more power to his elbow. The full interview with Eric Toft can be downloaded here. The Government ended uncertainty about the future of the tie as it pertains to the vertically integrated family brewers - that is - those family owned breweries such as Adnams, Robinsons, Bateman's Lees etc. that both brew, and own pubs which are tied to their beer. In a response to the House of Commons Business, Innovation and Skills Committee’s tenth report of session 2010-2012 into pub companies, the Consumer Minister Edward Davey recognised the importance of the tie to the longevity of breweries and success of tenant licensees. It is instructive to my mind at least, that "During this long enquiry, successive Select Committees received no complaints about brewery tenancies." This contrasts somewhat vividly with the complaints received about Pub Companies. Paul Wells speaking for the Independent Family Brewers of Britain (IFBB) was pleased saying (among other things) "In my view, many family brewers will now increase investment into their pubs because of the support the Government has announced for the traditional brewery tenancy agreement and the beer tie." All well and good - and I welcome the decision - but maybe now that this uncertainty has been removed, IFBB members who have not woken up to the beer revolution around them, in addition to tarting up their pubs, can turn their attention to more vibrant brewing in this new stable environment. It will be a hollow victory indeed if they have stability for their tenants and future business, only to see it diminished by moribund beer ranges, dull brewing and a "we know best" attitude. As the Government and commercial logic forces PubCos to concede more choice for their lessees and micros offer more and more beery options, IFBB members cannot allow themselves to fall (further) behind the curve. The beer market is at its most volatile for years. Innovation and experiment is all around. Beer drinkers are more and more discerning and demanding. This provides opportunity, but it also provides pitfalls. Let's see IFBB members rise to the challenge of the times. A lot of my drinking is done in IFBB pubs, so I declare an interest. And I care about them. When people rave about breweries, it is often about those that brew beers that are, shall we say, at the more exotic end of the spectrum. There are rarely glowing reports on ordinary supping strength beers, even from me and that is almost all that I drink. I of course rarely write about individual beers, so that's my excuse, but with the exception of say, Dark Star, Marble or the odd London brewery, there isn't much. Some yes, but not much, despite those kind of beers being what nearly everyone drinks. So I'll redress the balance just a little. On Monday night, in Oldham, I had two different beers (though not just two beers) from two exceptional breweries. Both are, gratifyingly in my CAMRA branch area, and it was a CAMRA meeting that caused me, rarely, to be drinking beer on a Monday night. Both were 4.5%, which is just a touch above my normal drinking strength, but when the beers are from these two, you know not only that you can drink them with confidence, but indeed you must. Funnily enough, one of the breweries, despite a great reputation is fairly hard to come by, though being brewed only 5 or 6 miles from where I live. (The other is even nearer.) The brewery brews at capacity, has no plans to expand and when I looked at its web site for my blog post, I realised I hadn't ever had the vast majority of their beers, such is their comparative rarity. 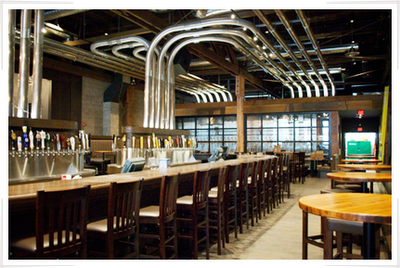 The other brewery also brews to capacity most of the time and is much bigger. I have tried the vast majority of those beers many a time and always with great pleasure. So who are they? Pictish and Phoenix of course. 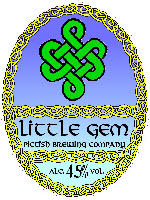 The beers on the night were Pictish Little Gem, a wonderfully tasty and hoppy, pale golden beer loaded with hops, this time in the unusual combination of Bramling Cross and Pacific Gem, giving a beer that was just sublime. In our meeting venue, we had Phoenix White Monk. An old favourite this and different in many ways to the Pictish offering, but wonderfully balanced between malt and hop. Don't ask me what hops, as I don't know and I bet if I asked the brewer, he wouldn't tell me. So there you are. Two top tips. Phoenix and Pictish. Seek them out and don't forget the sparkler. Pictured is Tony Allen of Phoenix with (possibly) a pint of White Monk. Tyson has mentioned the Bury Beer Festival and Darren Turpin here. This used to be run by CAMRA for many years - in fact I've organised it more than once - but is now run by the hall owners themselves, on a different basis. CAMRA did run a small membership stall this year though and I did my bit on Friday afternoon, by spending a few hours there with my "Ask me about CAMRA" badge on. Quite a few did and one of the questions I was asked more than once, was "Why isn't CAMRA doing it now?" There is no one answer, though lack of willing local volunteers was a pretty big factor, but my personal feeling is that for us, the event had run its course. We had done ourselves proud over the years and could now bow out, especially as the hall owners had their own thoughts about how the festival could develop and change. Also, clearly, one of the biggest expenses is the hall hire and that is something owners don't have to pay for and through letting out concessions to sell beer, they don't have to worry about the cost of buying it, or staffing the stalls, to nearly the same extent. In short, they have many advantages and have an ability to run things slightly differently to appeal to a different audience - in this case combining it with frequent live musical acts, but it could be anything. When we started doing the Bury Beer Festival umpteen years ago (well over 20), beer festivals were the sole domain of CAMRA. Now others do it and Bury has quite a few. We blazed the trail and now many others are copying it, adapting it and taking the strain, as well as promoting cask ale to others. Is this a bad thing? No, it isn't. We in CAMRA campaign for real ale and if our campaigning has inspired others take the baton up and promote the same kind of beers we do, in their own particular way, at their risk, then surely that's no bad thing? One thing though. Most of these festivals have a commercial element to them (as CAMRA's) festivals do.) Many support worthy causes and some, like Bury are run purely for profit, (though keeping the Met Arts Centre going could certainly be described as worthy). Beer festivals aren't the intellectual property of CAMRA, but often we are asked for advice and kit to help run beer festivals and we do give general advice and guidance, based on national policy. When we are asked for kit, we hire it. It takes effort to get the stuff from store and to clean it afterwards and CAMRA and its branches do still need campaigning money. Beer is increasingly expensive to buy, and venues, in these difficult times are expensive to hire. Beer festivals can be a risky business when money is tight and you have to charge a fair old whack just to cover hall rental. When you have a town like Bury, with a healthy real ale scene, that can be a big ask of customers, who can get great choice at no entry cost in the local pubs. In short, the figures just don't stack up sometimes, so don't be too surprised if the odd, small, local beer festival is no longer run by CAMRA. I must say, I enjoyed my few hours at Bury, not having to worry about staff and whether we were going to sell enough beer to pay for it all. At the other end of the scale though, larger festivals on a well established basis, like GBBF, National Winter Ales, Peterborough and the like in big cities, will continue to be CAMRA run, as indeed will very many small festivals. But there is a place for a different approach in certain circumstances and where it happens, there shouldn't be too many concerns about that*. * You will no doubt understand that I am stating a personal point of view here. There is a plethora of books about beer and fortunately there seems to be a fairly never ending set of customers for them. One of the first in the UK to take up this theme was, oddly enough, the Campaign for Real Ale, who have been producing beer related books for many years, as a follow on from their first effort, the Good Beer Guide. They are still doing it. Well known beer writer Adrian Tierney-Jones has ducked under the CAMRA Books umbrella for his latest offering, CAMRA's Great British Pubs. However this is no grim list of back street dives, but a well chosen selection of some of the most characterful pubs in the UK, cleverly chopped into sections such as "The best riverside pubs", "the best heritage pubs", "the best family pubs", "the best pubs to take your pet monkey to" -OK I made that one up, but you get the drift. This is a shrewd move as it breaks the book up neatly into type, rather than location, which makes for a more interesting read, though wisely there is an index by region to pull the whole thing into some geographical context and increase its usability as a guide. This is no dry volume. Neatly studded throughout, like gateposts to lean on as you take in the scene, are one page articles such as "Edinburgh pub walks", "How cider is made", or "Fictional pubs" and there are appendices of beer styles and "how beer is brewed" to ease you out of the book and provide a practical aide-memoire. But what of the pubs? Like any list of pubs, there are those that would argue that such and such a pub should be included at the expense of some other. That is to miss the point. This is no complete guide to the best, but like beer itself is a snapshot. The writing is direct, personal and can be as delicious as a favoured pint. Take this about the Beacon in Sedgefield: "Come far?" asked a genial chap in the tap room as I sipped the Dark Ruby and looked about the equally genial surroundings. I replied yes, but I really wanted to say that distance is relative: a visit to the Beacon is a journey through time as much as space." I know the pub and know what he means. Perhaps the test of this book is how it describes and brings to life pubs you already know. It does this in spades. Tierney-Jones has a great eye for a pub. No dry commission this, done for the shilling and little else. This is a labour of love and you can tell this was written by a pub man. The pubs are brought to life and perhaps best of all, it makes you want to visit the ones you haven't been to. It can be used as a guide, or just to read for the sheer pleasure and envy of it all. So many pubs - so little time. Given that this is a snapshot of 200 or so pubs, the opportunity of a follow up second volume would be a possibility in due course, but if Adrian does it, he may need some time to recover first. Thoroughly recommended. 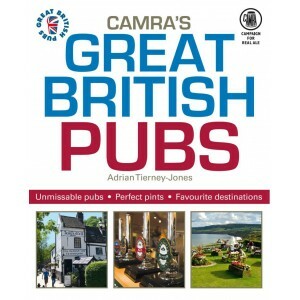 Published by CAMRA Books at £14.99 (or join CAMRA and get two quid off) Review copy provided by CAMRA Books. Visiting my old Mum involves going though Glasgow en route to the Clyde coast and Dumbarton. Shaking off the effects of the journey usually has me nipping in for a quick pint before catching the train from Queen St, a five minute walk from Central Station. I used to always go to the Drum and Monkey, but for a while it has been reduced to the ubiquitous Deuchar's IPA and the ridiculous Caley 80 bob, so I by-passed it for the cavernous Counting House and its many handpumps. There was a lot of unappealing dark stuff on, but my eye alighted on a Nelson Sauvin pumpclip. Such was the crush at the bar, I couldn't get to see much more, but it was from Tryst brewery and a fine and distinctive quaffer, which hit the spot after my journey. A quick visit to the nearby - well just over the road - Camperdown Place, saw a poor choice. I plumped for Goff's Jouster after a taste, but it was one of those beers that fools you. The more you had of it, the more unpleasant it became. I ditched it and had a half of Abbot, my first in years and you know, I quite enjoyed it. The next day saw me window shopping in Glasgow prior to taking Mum for a curry. Back to the Counting House, with Mum remarking that she misses her odd outing to them, as "a pub is a much better to have a drink in than home". Indeed Mum. Jaipur was a touch green and not clear, as often it seems to be. My twitter enquiries about other folks' experiences with this beer fell on deaf ears however. Is it just me then? Our curry house was two doors up from BrewDog Glasgow. We were between buses, so went in. I liked the place a lot and though they were probably bemused by both me and Mum, they treated us well. All keg of course and my half of 77 lager was unappealingly watery - that again - and the Zeitgeist had somehow mislaid its mojo on the long journey from Fraserburgh to Glasgow. Still, it had to be done and it was. I'll draw a line under our late lunch the next day and my pints of Draught Guinness and Tennents Lager. Both awful, but suffice to say, Guinness particularly seems in rapid decline taste wise, with its over-cooked, stale cardboard flavour and its thinness. The Tennents just tasted watery and watered down, which it is. A couple of days later, on the way back to Manchester, I had a quick pint of Harviestoun Natural Blonde which was pretty good, with a snappy, refreshing hop taste and a slight spicy wheatiness. The pumpclip may well offend some though. Time for one more before my journey. I popped into the Drum and Monkey and five beers were on. I opted for a half of Ilkley Lotus IPA. I had to ask for a sparkler, which caused the very personable East Coaster behind the bar to grimace, confiding in me that he disliked them. We agreed to differ and chatted amiably. He now looks after the beer and is a stickler for both choice and quality. He berated the previous regime, as is customary, but I surmised instantly that he'll be an asset to the pub. As always in pubs, get the staffing and beer right and you are on a winner. The Lotus was splendid, so much so, that I had another quick half, before hot footing it round the corner to Trans Pennine Express and the railway line southwards. So a mixed bag in very limiting circumstances in Glasgow, but overall, not so bad. If you ever want a very decent curry, tapas style, Mother India Cafe can be combined with BrewDog Glasgow, right opposite the Kelvin Hall. Can I Have a Taste of That? We are told that one of the best ways of encouraging people to try cask beer, is to offer tasters. Indeed the principle can be stretched to all beer, but I'd guess that it is to cask beer that it most often applies, given the huge number of different beers available and the lack of information provided about what's on sale in most pubs. There is a touch of psychology involved here too. Perhaps it is a British thing particularly, but there is a degree of obligation then put on the drinker, in his or her mind at least, that having tried a beer, you must buy a beer. I can't recall many, if any times, where I or others having tried a sample or two, then said "No thanks" and left. It is you would say, a "win win" situation. The drinker gets a beer they are more or less content with and the pub makes a sale. Simples. Stepping back from this a little and broadening things out, there is still a distinct lack of information about beers on sale in most pubs. Bar staff are often guilty of complete lack of knowledge of even colour, despite serving the stuff - even sometimes it has to be said - at the end of a shift. Boards rarely indicate style or colour and the Cyclops scheme of how a beer appears and should taste is yet to make much of an impression. At least, nobody has ever read the Cyclops tasting notes back to me. Last week in Liverpool I came across something that has only happened on the odd occasion. In one pub, a request by my drinking companion for a taste was politely refused, citing company policy. In another the very helpful barmaid explained that third pint tasters (as a pint) were available, so that you could make up your own mind at your own cost, as the burden of paying for tasters had proved uneconomic to the pub, mostly due to abuse of the system. Interesting stuff. Now it may be that they are just a mean lot in Liverpool, but I doubt that. Personally I'd rather the pub factored in the cost of tasters in their pricing, as I'm sure most do, but given the wide variety of beers and beer styles available and the huge lottery of buying the unknown blind, I'd say pubs are missing a trick if they don't offer free tasters and make more effort to tell folks what the beers available are like. On the subject of third pints and three for the price of a pint in particular, I've noticed this becoming more common. It is a good thing, but not as a replacement for a quick taste to see if I'd like it in the first place. For the record, I've never come across any pub that sells a third of a pint on its own. Does that happen anywhere? Tasters can be misleading of course as most drinkers know, but at least they give you a fleeting impression of the beer, but more product information is never a bad thing. The customer not only deserves it, but with huge choice, actually needs it. I have even heard of CAMRA run festivals where the third has replaced tasters. Bad form. Hawkshead Windermere Pale. The Champion Beer of the Society of Independent Brewers Northen section and very well deserved it is too. I first alerted my readers about this beer way back in 2009. You can read about it here. 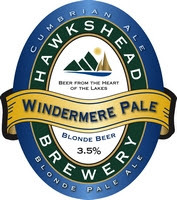 For those that don't know it, Windermere Pale is a very pale, highly hopped beer of a mere 3.5%. When we read so much about hop monster triple IPAs or other such, weighing in at 9% plus, it is good to remember what we are, possibly uniquely, so great at brewing on these islands - very drinkable low gravity beer that you can just straightforwardly sup in volume. If you come across it, seek it out and insist it is both cool and sparkled. 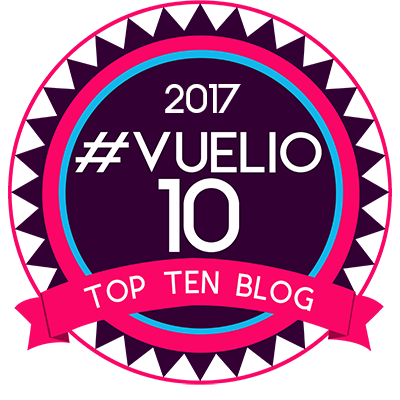 You'll also wish to know that the festival was a great success too. More on that in due course.